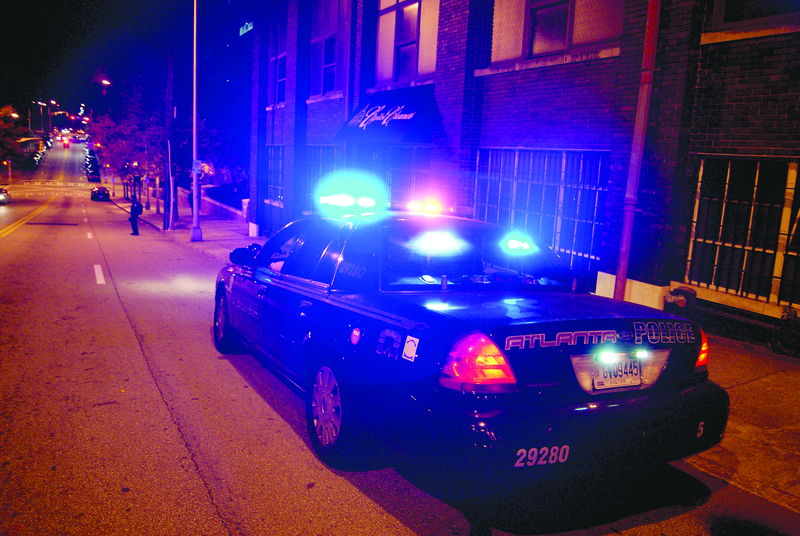 Amidst growing crime rates, APD patrol the streets of Atlanta . According to the Sept. 26. Federal Bureau of Investigation’s (FBI) latest Uniform Crime Report, Atlanta’s murder rates are on the rise from last year earning the city a spot at number 18 out of 25 on 24/7 Wall St., a corporation that runs financial news and opinion articles, list of America’s murder capitals. “At this point, the overall crime rate is down 4 percent, however, we are higher in homicide, aggravated assault, and larceny from auto as compared to last year,” said Atlanta Police Department (APD) Public Affairs spokesperson Lukasz Sajdak. To combat seasonal crime patterns, APD initiated the Gun Violence Reduction Task Force on June 1. to focus solely on gun crimes. During the operational period, the team investigated all shootings in the City of Atlanta and investigated 88 aggravated assaults with a weapon seven days a week, mostly at night. At the end of the operation, APD noticed a slight downward trend in non-fatal shootings in zones one and three of Atlanta. “We also have for years, utilized community resources to engage people, particularly the youth, by having the PAL program, Explorers program as well as a COPS unit which has constant interaction with our citizens,” Sajdak said. The Atlanta Police Athletic League (PAL) is a non-profit organization that utilizes athletics, activities, and other programs to improve quality and provided a safe environment for youth. While the Atlanta Police Explorers Program trains and recruits young men and women from the ages 14-21 to become future leaders in law enforcement. And the Community Oriented Policing Section (COPS) fights to reduce crime and improve quality of life with community partnerships. APD’s newest foundation is At Promise Youth Center, which helps Atlanta youth find a new path and is kicking off Dec. 6. “They (APD) have started integrating the At-Promise model into the community through youth mentorship programs and are actively finalizing the process through which youth will be directed to the Center through Diversion with the courts and APS and the curriculum with our key partners,” Sajdak said. The Gun Violence Reduction Task Force comes with a $12.5 million in compensation increase for public safety employees, like APD and Atlanta Fire Department, from the Atlanta City Council. “The pay increase in both departments provides clear compensation growth for mid-career sworn professionals, keeping more experienced officers and firefighters in Atlanta and supporting them as they grow their families,” a press release by the city of Atlanta stated. The Gun Reduction Task Force works with 45 non-obligatory uniformed officers who will actively work in areas that are known for their gun related crimes. “The Atlanta Police Department looks at the city as a whole, and as crime trends change, particular zones may allocate resources to specific areas. Crime is fluid and we react to it as it occurs,” Sajdak said. The Southern Center for Human Rights (SCHR), a nonprofit law firm in Atlanta, Georgia, noted an analysis by the state Department of Corrections that more inmates come from the Atlanta zip code 30318, located in Zone 1. The 2010-2014 American Community Survey states, 30.8 percent of individuals that reside in this area live below the poverty level. According to Donald Reitzes, associate dean for social and behavioral sciences and professor at Georgia State, that’s a big part of why the crime rates are so high. “Neighborhoods that have high concentrations of poverty where more than 20 percent of the people are unemployed, not looking for jobs, are those situations, which increase the likelihood of engaging in the kinds of behavior that would someone to engage ultimately in violence,” Reitzes said. Georgia State Associate Criminology professor Dean Babney said a vast majority of criminal behavior is learned behavior and very little evidence shows individuals being innately criminals. Research suggests the most effective interventions are public private partnerships, said Babney, for the reason being that Government based job programs can be a tremendously costly proposition. “The government can stimulate jobs, can stimulate drug treatment, but practically speaking can’t afford and deliver it. The taxation of providing those services no one is interested in it,” Babney said.